Cheeesssseeeeeeee! OK, so i’m not going to go on about what shots you should have… It takes enough time to shout out the roll call on the day as it is. I wanted to write a honest guide to formal group photos at a wedding. As a ‘documentary wedding photographer‘ my role is to capture your day as it happens, naturally. Therefore needing to schedule an entire hour into your day to capture ‘group photos’ does take a little bit of the wind from the sails. I often get asked if it’ll be good to have at least 10 group photos scheduled into 20 minutes. The reality – less certainly is more in this case. I will only advise no more than 3-5 maximum. Your guests would rather mingle and enjoy the day catching up with you both as you enjoy such a special day. Especially as this could be the only day in your lives you’ll see everyone close to you together in one place. Apart from trying to round up all of your guests, a task that is often compared to that of herding cats. It’s also the section of the day that causes the most stress, due to time consumed doing them, but also, in trying to find the missing family members that have taken it upon themselves to go for a cigarette or comfort break… This happens every single time, no matter the planning skill level of a god. Why do you have formal group photos? Group photos were adopted in the day of film photography, where there would only be 30-50 images captured for the entire day and the need to ensure everyone was at least captured once. With the advanced use of digital photography, candids of guests are now captured with natural relaxed images are much more achievable and now a standard thing as part of any wedding photography gallery. 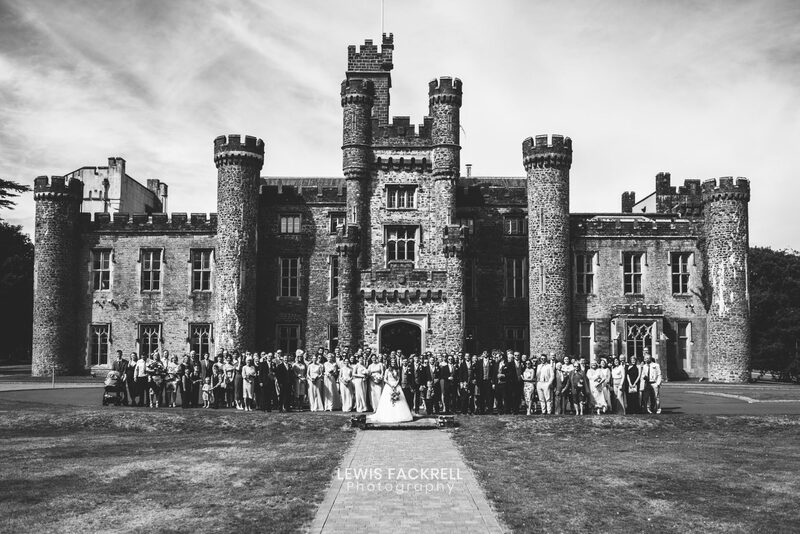 The group photos are one of the traditions that were never shaken off after the transition over the years… SO, let’s do a Taylor Swift and “Shake it off, shake it off!” and enjoy the naturalness of your day instead of queuing people for a posed photo. It’s actually the least favourited images (by couples) of the day looking back too! So what formal photos should you have? Everyone absolutely lothes posing and formal group photos yet so many people think they should have them at their wedding. Not to say that you should completely abandon any identity parade style photo. But you should highly consider only having a small handful of formal group photos. Allowing you to have more time to enjoy the day, mingle with your guests and to take it all in without feeling too much pressure on needing to cram it all in. So, which formal group photos should you entertain having? Group photo of everyone – So there is at least one image to put in the album that includes everyone that attended your wedding day. Parents – Arguably the 2nd most important people at the ceremony. 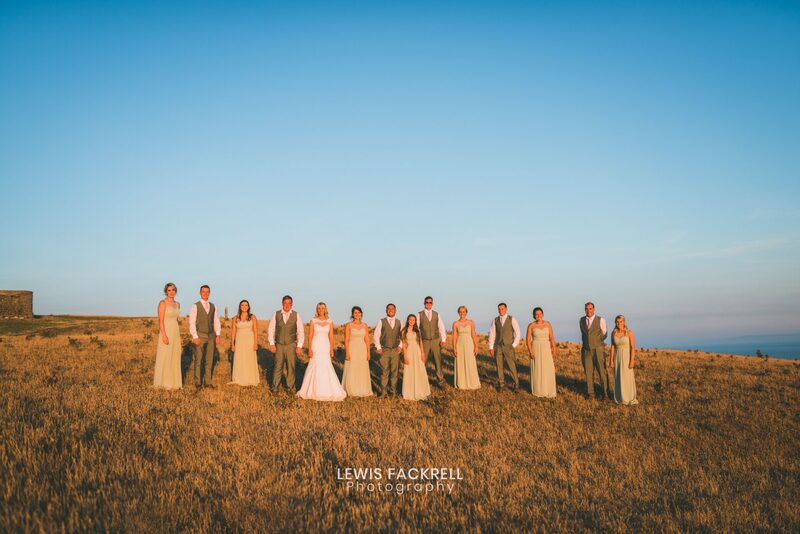 Bridesmaids & Groomsmen – Your closest people who’s helped support you the whole way. These should only take up to half an hour to complete. Plenty of time to allow you to go back to sipping prosecco and having the best time of your life! Being asked to manage family disputes is very difficult and a horrible position to put your wedding photographer in. Not only does your photographer not know who is who, but in the height of ensuring the list of photos are captured professionally it is very hard to also remember who is and isn’t talking. 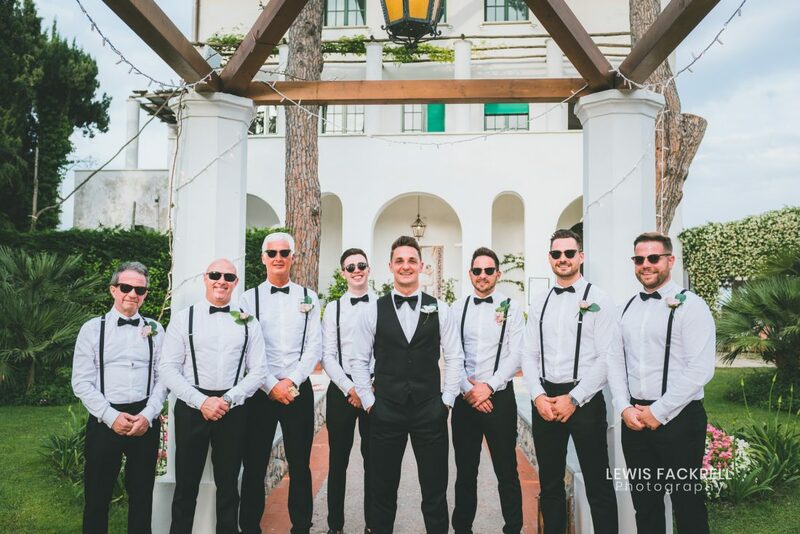 This is why having only one large group photo works best and certainly avoids animosity and stress during this stage of your wedding day. I’d also highly suggest that your best man and maid of honour are both very clear on this too so that when they call out the names of parents then they know the best place to put then in this case. Have you planned in your wedding day schedule where you will have your group photos if it’s raining? Ok, so likelihood would be that it’ll be very difficult to capture any large group photos indoors therefore please, if you do decide to want group photos these would need to be intimate (2-8 people) groups maximum. Please also arrange with the venue where these can take place. The main ceremony room is often turned around for the reception right away and isn’t always possible to use this space. 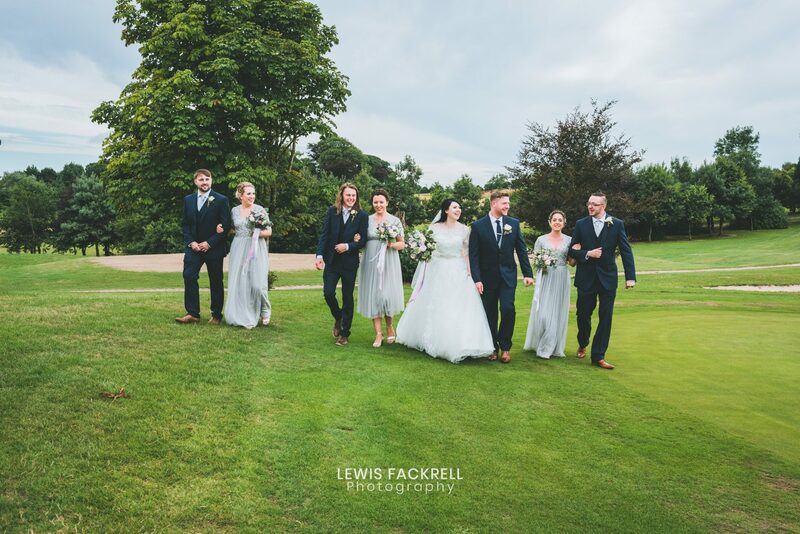 Your professional wedding photographer knows best and has likely attended over 100 weddings having to deal with the formal group photos on a weekly basis. It is best to communicate clearly with your wedding photographers well in advance to your special day to ensure the vision of the day is clear. Looking back on old family & wedding albums from grandparents and parents weddings and there is a clear poignancy to the group photos. A fraction of a second in their lives together, sealed for a lifetime to be looked back over the years to come. I Recommend you to highly consider the time you have on the day. How long you’re prepared to be stood still rather than catching up with those you hold dear sharing laughs memories and good times. 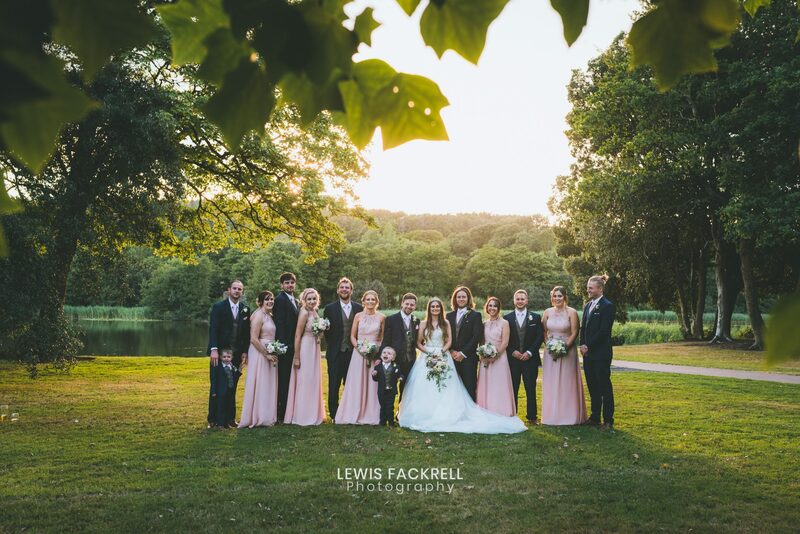 Your photographer will want you to have the best time at your wedding and to have the most natural, relaxed and enjoyable experience and not make you feel like you’re being put through a cattle market!